PREP 10 MIN. COOK: 20 MIN. 1. Heat the oven to 375*F. While it's warming up begin to prepare the meatball mixture. 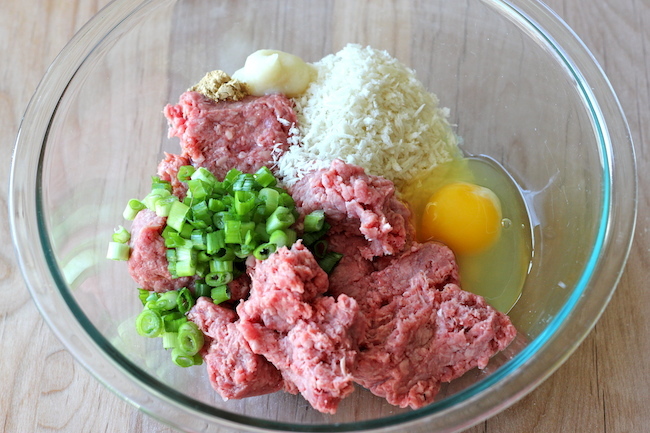 In a large bowl place the meats, sesame oil, half of the diced scallions, garlic, ginger, salt, soy sauce and lightly beaten egg. Once combined gently add in the breadcrumbs. Form the meat mixture into golf ball sized balls and placed on a silpat lined baking sheet. Place in the oven to bake for 15 to 20 minutes. 2. Next begin on the Hawaiian sauce. 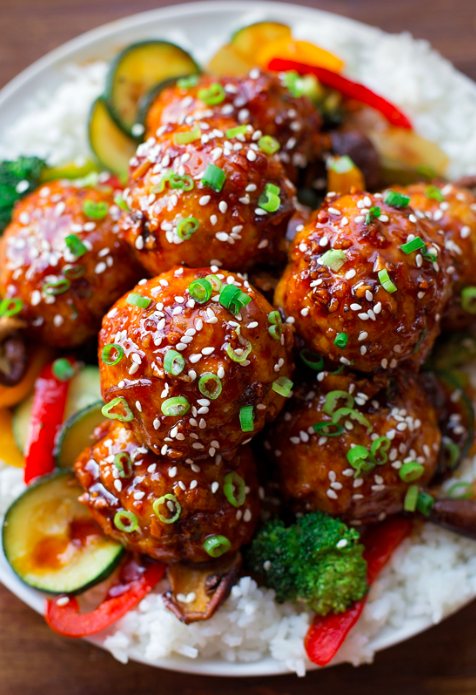 In a small sauce pan place the sesame oil and begin to heat up. Once it is warm, add the ginger and the garlic. Allow the mixture to become fragrant and then add in the hoisin, honey, rice vinegar, soy sauce and sriracha. Let the sauce simmer and thicken being sure to whisk to prevent it from sticking, about 5 minutes. Add in half the sesame seeds and turn the heat to low to keep the sauce warm. 3. 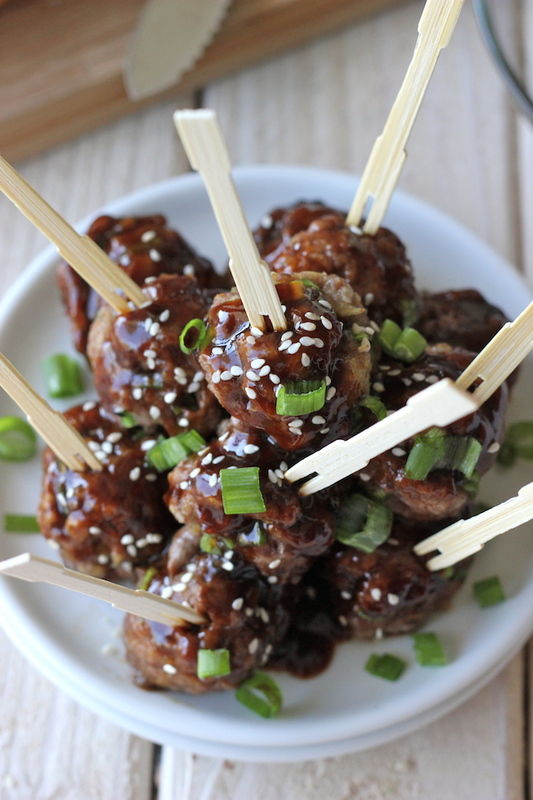 Once the meatballs have finished cooking, place them in the pan with the warm Hawaiian sauce. Coat with the sauce and then remove and place on a pretty serving platter. 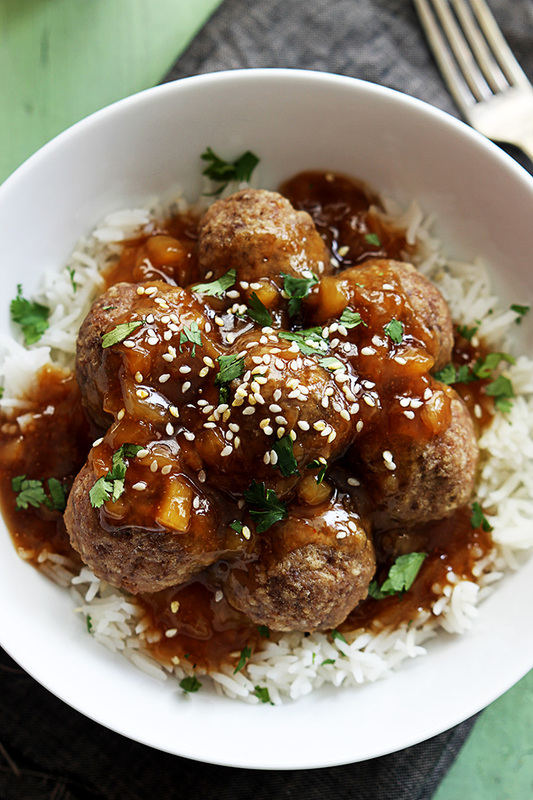 You can serve them over some yummy jasmine rice or simply plate them alone. Add in the remaining sesame seeds and garnish with the leftover scallions. Enjoy! Although this is a simple dish, the outcome is pretty impressive. 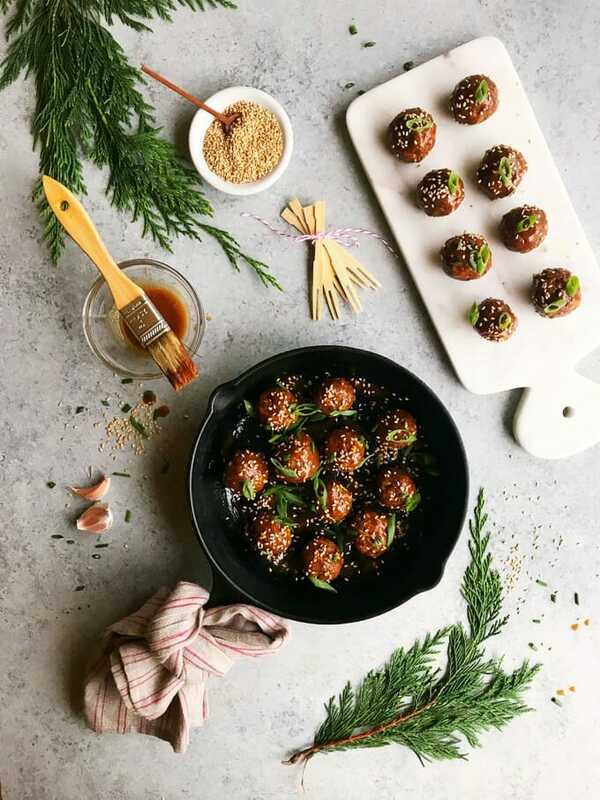 They're perfect for a fun little dinner party or even a potluck. For me, I just find them delicious and can consider them a happy little meal, haha. Give them a try, I'd love to know what you think! Have a wonderful weekend everyone!